Access Power has been proudly serving as an electrician in the Colorado Springs, CO area for several years. We have built our customer base through hard work and determination. This has made us the company we are today. We take great pride in providing you with top level service and promise complete satisfaction when choosing us for all of your electrical needs. For your convenience we are licensed, insured, certified, locally owned and we offer you guarantees. 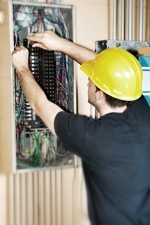 When you call Access Power you will receive the best electrical services from a master electrician. We are dedicated to providing you with the right solutions for all your electrical needs.This ensures that anyone who calls Access Power will be 100% satisfied.